M/V Selendang Ayu aground and broken in two on the shore of Unalaska Island, December 11, 2004, and an estimated 354,218 gallons of oil was released into the environment. This incident is an example of the Federal cases involving damage to and restoration of natural resources under Federal trusteeship available on the Damage Assessment and Restoration Tracking System (DARTS) Web site. 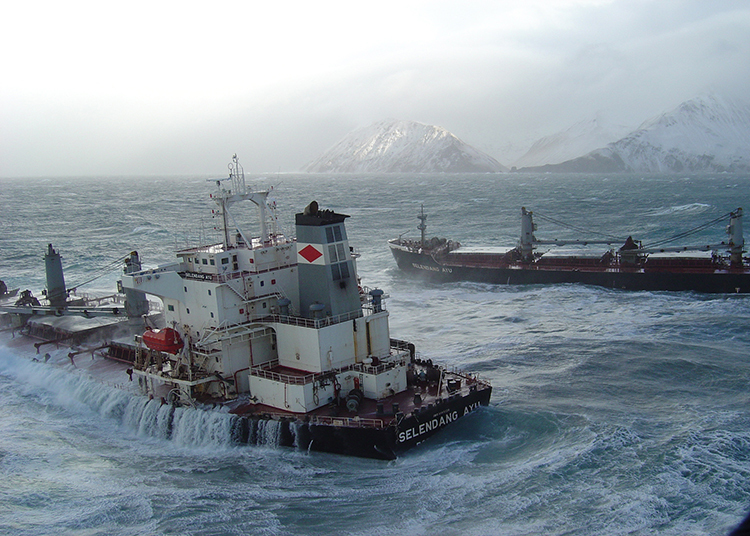 Photo Credit: Alaska Department of Environmental Conservation. A new, web-based interactive tool has been developed to increase access to the Department of Interior (DOI) Natural Resource Damage Assessment and Restoration (NRDAR) Program information. The DOI NRDAR Program mission is to restore natural resources injured as a result of contaminant releases into the environment. Working in partnership with affected State, Tribal, and Federal trustee agencies, the U.S. Geological Survey (USGS) leads studies for the NRDAR Program that document the exposure and effects of these contaminant releases to aquatic and terrestrial DOI trust resources (for example, fish, mussels, and migratory birds) and evaluate restoration effectiveness. These studies enhance our understanding of the environmental health impacts that result from anthropogenic disasters and are essential to compensating the public for natural resources injuries. A recent (2016) economic evaluation indicated that these ecosystem restoration projects provide substantial contributions to local, regional, and national economies. Based on the case studies evaluated, 13 to 32 job years and $2.2 to $3.4 million in total economic output are contributed to the U.S. economy for every $1 million invested in ecosystem restoration. The Damage Assessment and Restoration Tracking System (DARTS) hosts a comprehensive catalog of case documents related to the DOI's NRDAR Program. 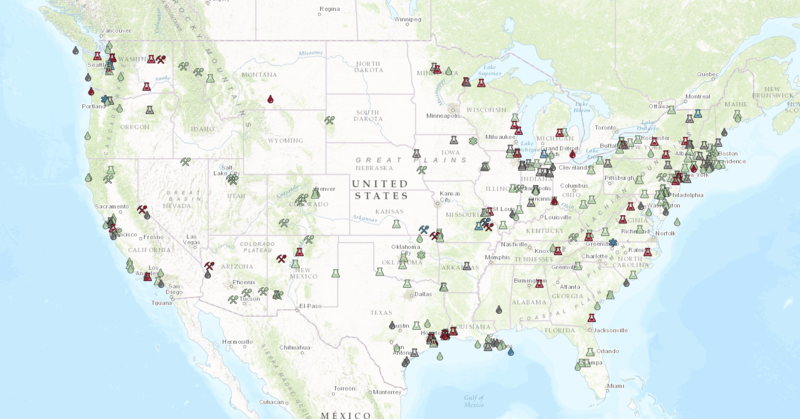 This web-based tool provides information for Federal cases involving damage to and restoration of natural resources under Federal trusteeship from the initial damage assessment through claim resolution, restoration, monitoring, and case closure. DARTS was designed for use by individuals with interest in NRDAR, including officials directly involved with a case, those affected by a spill or release, and members of the public with a variety of research needs. This new tool will allow for the efficient management and tracking of information and documents on cases for the DOI. The new Damage Assessment and Restoration Tracking System (DARTS) Web site provides an interactive map that identifies Natural Resource Damage Assessment and Restoration (NRDAR) cases. The shapes of icons represent incident type; icon color represents the status of the case. Case details and status are provided when the user clicks on these icons. The development of this tool was supported by the USGS Contaminant Biology Program and the DOI Office of Restoration and Damage Assessment.